Poker - most popular card game in the world. The number of players is growing rapidly mainly due to users of online poker games. Reaching a certain level of skill, many people want to play live poker, that is face to face with real opponents. To make it possible, for example, organizing a home poker tournament, teaming up with friends. This game requires both of these accessories, the main of which are chips and cards. But if the maps are usually not a problem, the chips do not get so easily. These chips are made of clay, plastic or ceramic. They also differ depending on the denomination by the color, diameter, they have a certain thickness and weight. Make the chips yourself. For they take plastic tokens. Use the tokens of multiple colors, or try to produce stickers with face value. For example, make on the computer using Photoshop, something similar to the original. Or stick to the counters the appropriate colored paper and write nominal marker or felt-tip pen. Also you can cut chips out of cardboard. These paint chips with paint and write nominal marker or ballpoint pen. However, such chips for the poker game will last very long. 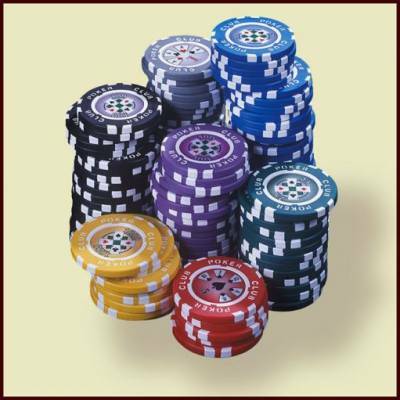 Note that the approximate number of chips for ten players will amount to not less than five hundred pieces. Will have to put a lot of effort to get the required number of chips of cardboard, or make and stick the stickers on the tokens. Many players use an ordinary coin, trying to split them depending on dignity. Currently, similar chips are on sale. However, if you take up the matter with the mind, can get a beautiful, original game of poker even with homemade chips.